The designs are incredibly detailed, and at 21.59 mm in diameter, the coin perfectly reveals every nuance of the intricate details. 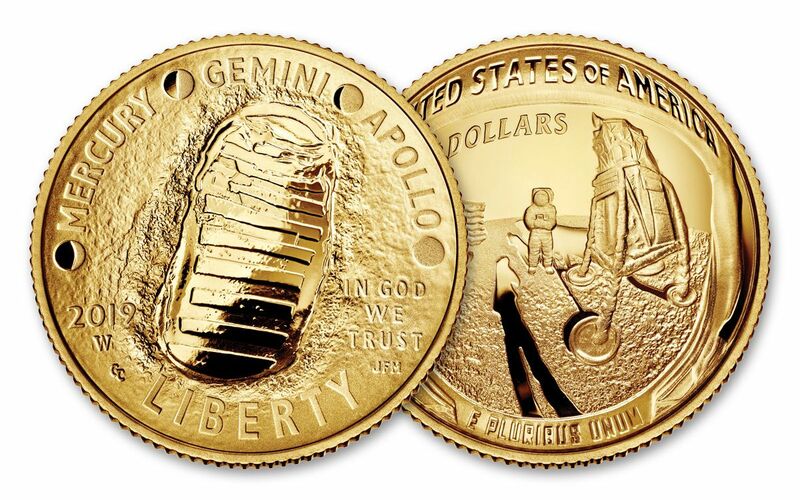 Struck in 8.359 grams of highly-pure 90% gold, your gold coin will arrive in its official government packaging. 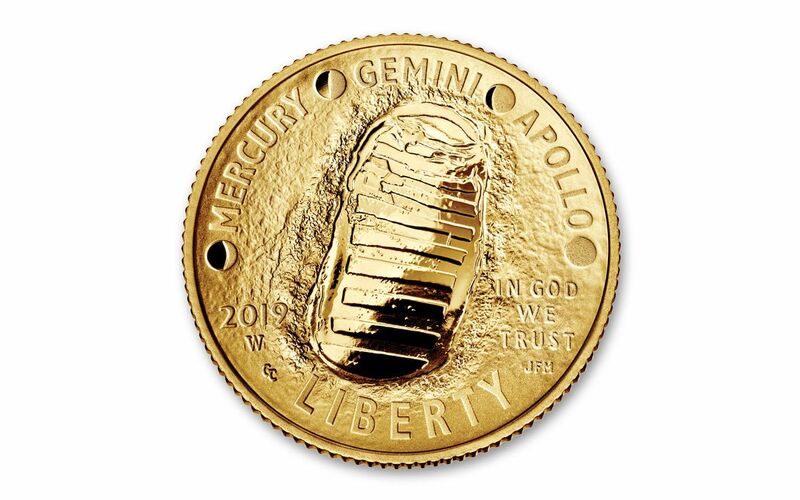 STRUCK IN HIGHLY-PURE GOLD – These commemorative coins have been struck at the U.S. Mint at West Point in 8.359 grams of highly pure 90% fine gold. 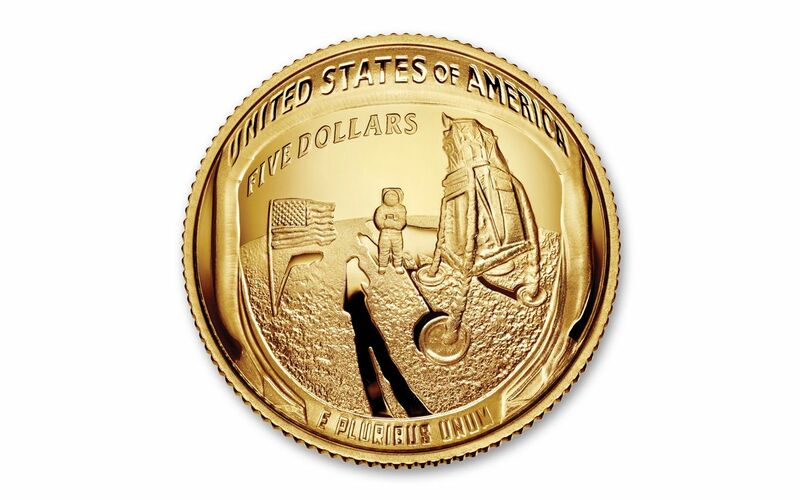 GORGEOUS PROOF CONDITION – Your 2019-W $5 Apollo 11 50th Anniversary Gold Proof will come in gorgeous Proof condition, meaning it was expertly crafted by the mint from hand-selected planchets, polished dies and multiple strikes to produce beautiful details! Your coin will also come displayed in its official government packaging.